For many women facing infertility, no matter how many procedures they have they will never be able to get or stay pregnant. Depending on your circumstances, age and overall health, when you get that news, one of two things happen: you accept this and define a new future for yourself. Or if you are the right age and health, you can wait for technology to advance. The latter is what happened for Melissa and her husband. They were told Melissa had no chance of getting or staying pregnant. After a few attempts, they stopped treatments. Then her doctor called. He asked if she’d be interested in trying something new. She and her husband hesitated at first. Dr. Robert Casper, the reproductive endocrinologist who runs the Toronto Center for Advanced Reproductive Technology, has started to offer women a fertility treatment called Augment and its aim is to “recharge” a woman’s eggs to basically refresh them. This treatment is not available in the United States, at least not yet. “It may one day be shown to be of tremendous benefit. But when you amp up the energy in the egg, how much do we really know about the safety of what will follow?” says Dr. Neal Mahutte, Canadian Fertility and Andrology Society. 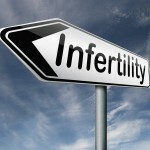 Getting to this point can be very expensive if in vitro fertilization is involved. Sherman Silber, a surgeon at the Infertility Center of St. Louis, offers women a procedure that he claims will put their biological clocks on ice. “You know, I couldn’t believe it,” she says. “I still don’t believe it a lot of the time. There are no words for it — it’s incredible. We’re very excited.